Looking back on all the mistakes I’ve made in my day-to-day makeup routine, I cringe. Not blending my foundation properly? Check. Wearing copious amounts of bronzer despite having porcelain-pale skin? Check. Sloppy eyeliner application (that I thought at the time looked great)? CHECK. While bad makeup days have not disappeared from my world completely (we&apos;re all human, right? ), they&apos;re definitely less frequent now. 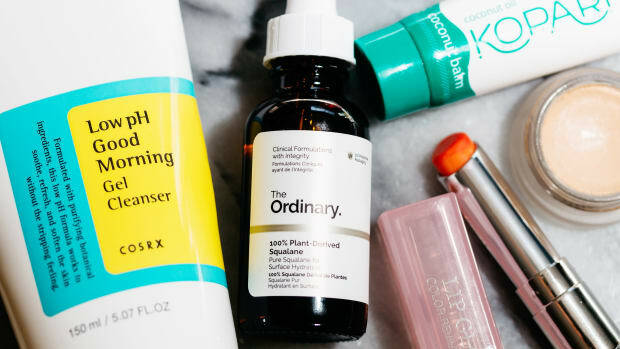 I truly believe—and have experienced first-hand—that makeup can only hide so much, so it’s really important to make sure your skin is at its healthiest. (Have you read about my skincare routine?) Those days before I got things locked down skin-wise were not good makeup times. No matter how much I tried to cover it all up, things only looked worse. Now that I’m in control of my skin, my makeup doesn&apos;t hide but instead enhances my beauty (and I’m not being vain here—everyone is beautiful!). Here’s a peek into what it takes to make me look like me! I always start off with primer. As you know, primers help create the perfect canvas for your makeup. 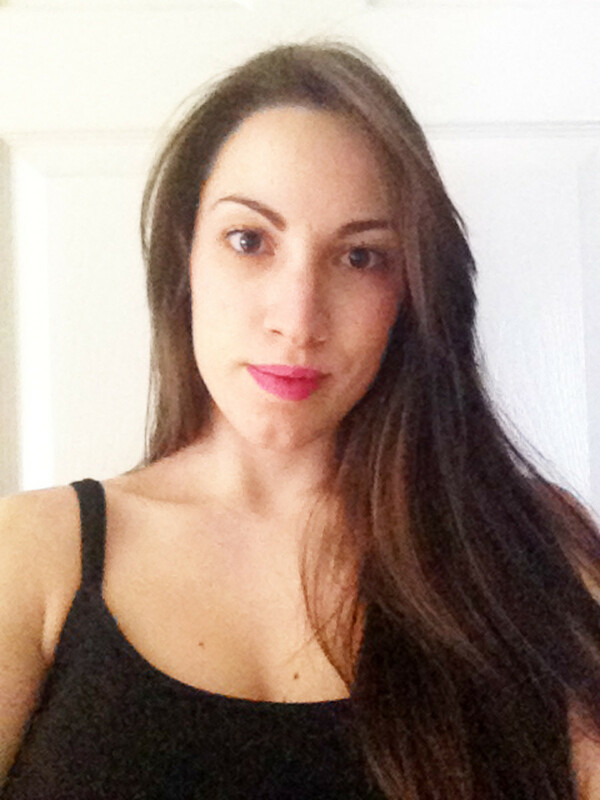 Right now, I’m using Make Up For Ever HD Microperfecting Primer. It’s green, which is supposed to cancel out the redness that I do have... but to be honest it doesn’t do that much for me on that front. I actually purchased this primer by accident—my usual one is the neutral shade, which is colourless. 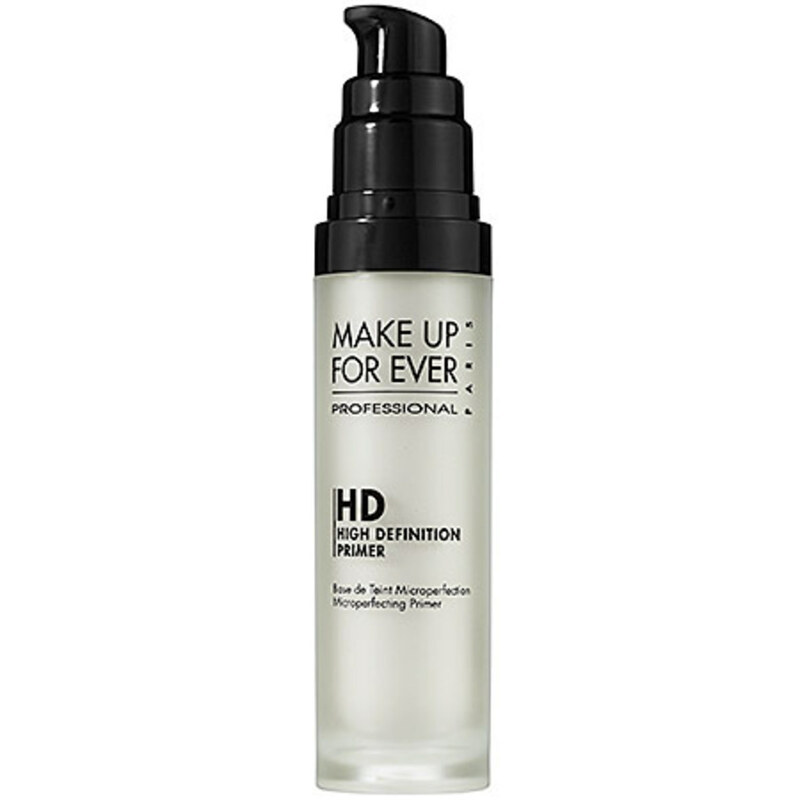 Make Up For Ever HD Microperfecting Primer, $38.00; click here to learn more and purchase. That said, I am still on the hunt for the primer that works best for me—so if you have any recos, let me know! Then it&apos;s time to use my concealer to even out any blotchiness and unevenness. I have some minimal dark circles under my eyes (I’m young and I enjoy my long nights! ), but I make them disappear with MAC Select Cover-Up. 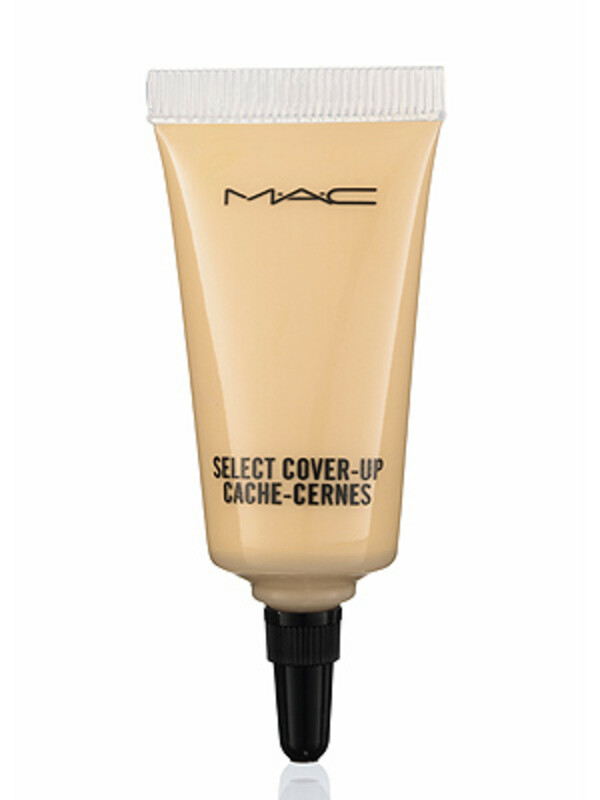 MAC Select Cover-Up, $22.00; at MAC counters and maccosmetics.com. 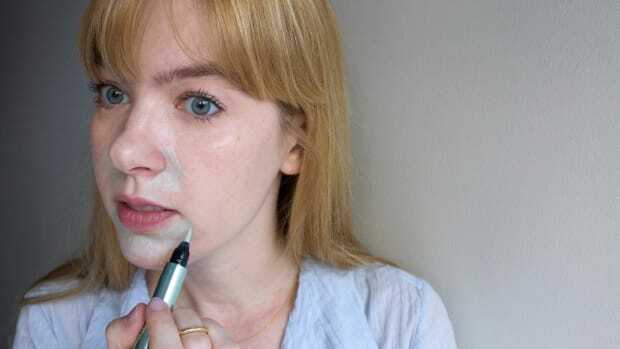 I also apply some around my nose and anywhere else I spy redness, and on the rare blemish. I just use my ring finger to apply it where it’s needed. Seriously, I can’t remember the last time I used a brush to apply concealer. I bought NARS Pure Radiant Tinted Moisturizer thinking it was a foundation because I didn’t read the label carefully! However, this proved to be a blessing in disguise because, as it turns out, I really don’t need foundation. 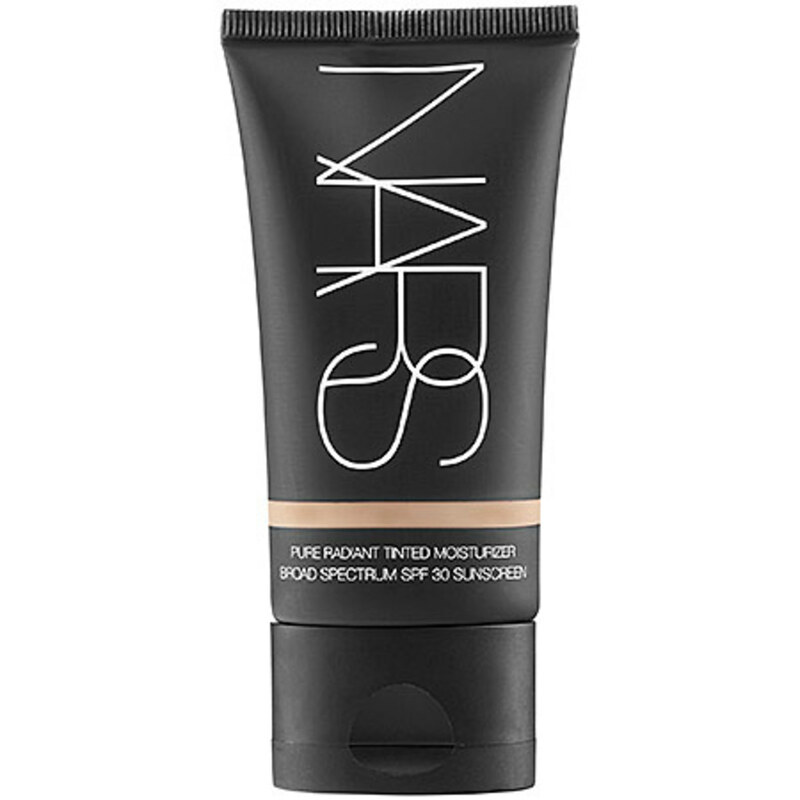 NARS Pure Radiant Tinted Moisturizer, $48.00; click here to learn more and purchase. This tinted moisturizer helps my dry skin and gives me enough coverage without looking cakey (which was a problem when I was using foundation). It&apos;s also buildable, meaning I can continue to apply until I have enough coverage. I usually put this on my forehead and nose, and then add just a dab on my cheeks and chin using a foundation brush. To set my concealer and tinted moisturizer, I sweep MAC Mineralize Skinfinish all over my face. MAC Mineralize Skinfinish, $35.00; at MAC counters and maccosmetics.com. 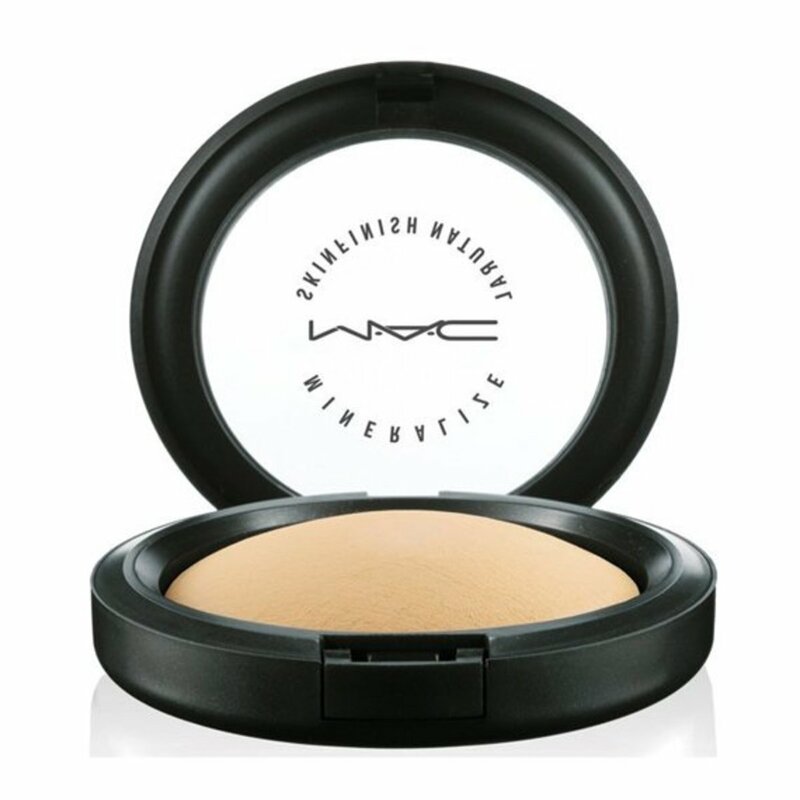 Again, this is so light but gives me just the right amount of coverage I need. I am finally so proud of my skin that I don’t want to cover up what doesn’t need covering. Blush comes next and I like NARS&apos; Mata Hari shade because it lasts all freaking day. 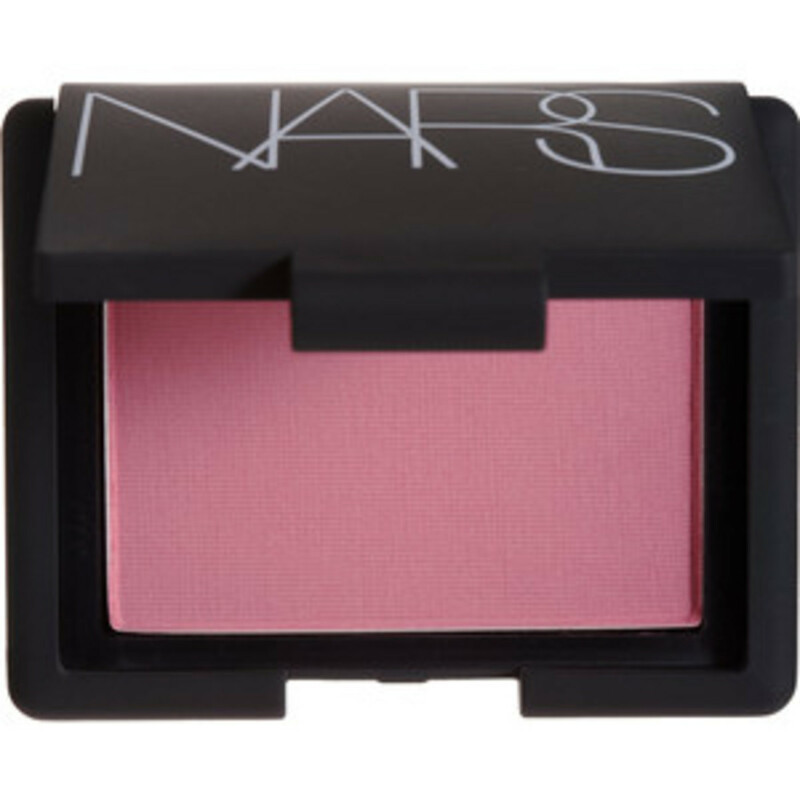 NARS Blush, $32.00; click here to learn more and purchase. I’ve had to deal with blush disappearing on me an hour after I applied it which was so not fun. This bright pink colour is killer and even the slightest application gives you a healthy flush. This is totally my favourite step of all. I love eyebrows! Nothing is more breathtaking than a beautifully sculpted brow—so filling in my brows, for me, is an art form. I have a scar on my left eyebrow so I have to fill it in regardless. But then my right eyebrow isn’t even so I have to fill it in too. I use a brown eyeshadow from Rimmel London that I picked up from the pharmacy and a black eyebrow pencil from CoverGirl. I blend the two to make my eyebrows more structured and darker (my brother jokes and says they look drawn on but all my girlfriends tell me how envious they are of ‘em). I use the MAC 208 Angled Brow Brush to apply the brown eyeshadow. 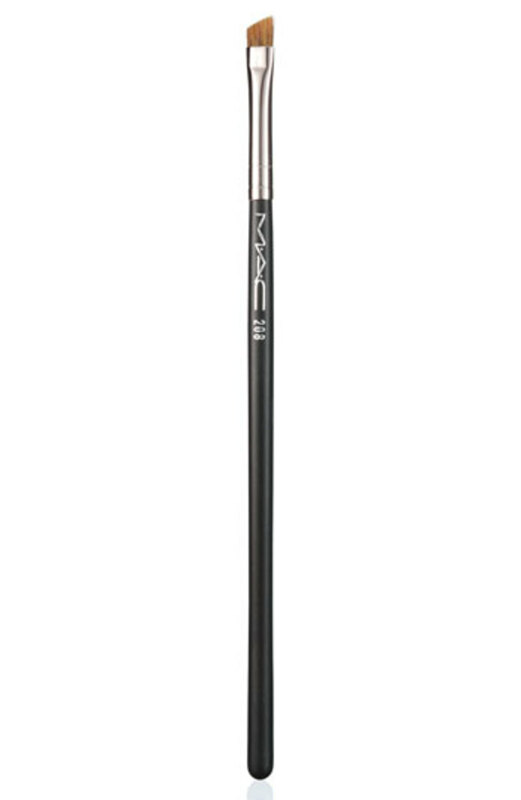 MAC 208 Angled Brow Brush, $24.00; at MAC counters and maccosmetics.com. Its short bristles allow for a defined application which is a must when doing your brows. I used to do winged eyeliner daily. Think Amy Winehouse but a bit less extreme. It took me a while to get it right and I tried so many formulas and brands of eyeliner. But then I woke up one day and decided I don’t need so much eye makeup for every day. And I guess I got kind of lazy trying to get the perfect wing. Now, I simply curl my lashes and apply a few coats of mascara. For now, I use Smashbox Full Exposure Mascara and although it works well, I’m still on the hunt! 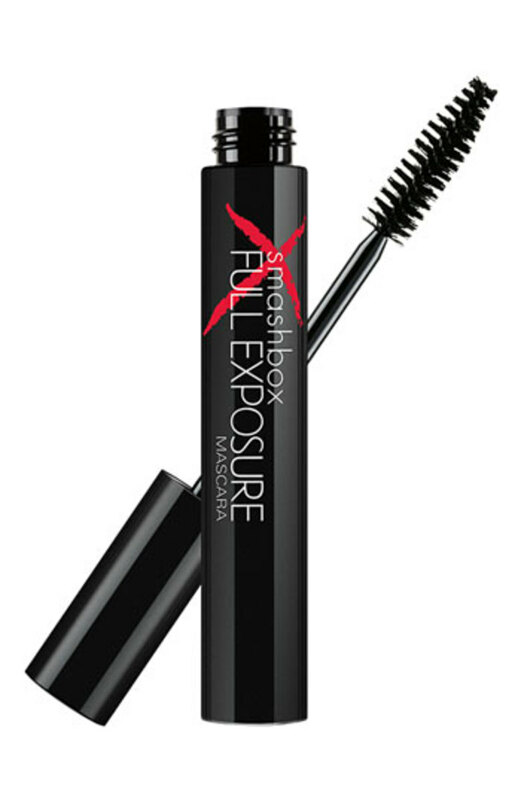 Smashbox Full Exposure Mascara, $22.00; click here to learn more and purchase. Just like my primer, I have yet to find my perfect mascara. For my lips, I LOVE lip stains. 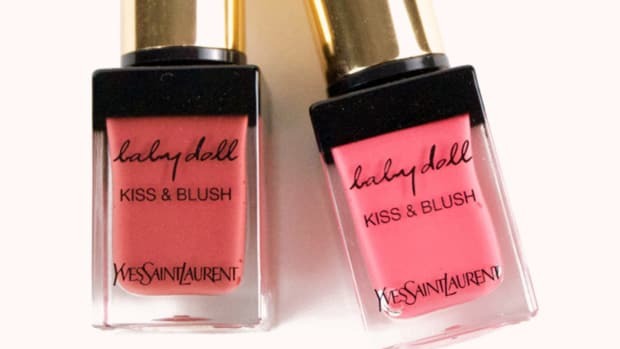 They give me a great pop of colour and are so long-lasting, I don’t have to reapply... unless I’ve been kissing cute boys all night long! I bought Urban Decay Lip Envy Lip Stain in Envious (the lighter one of their two shades). 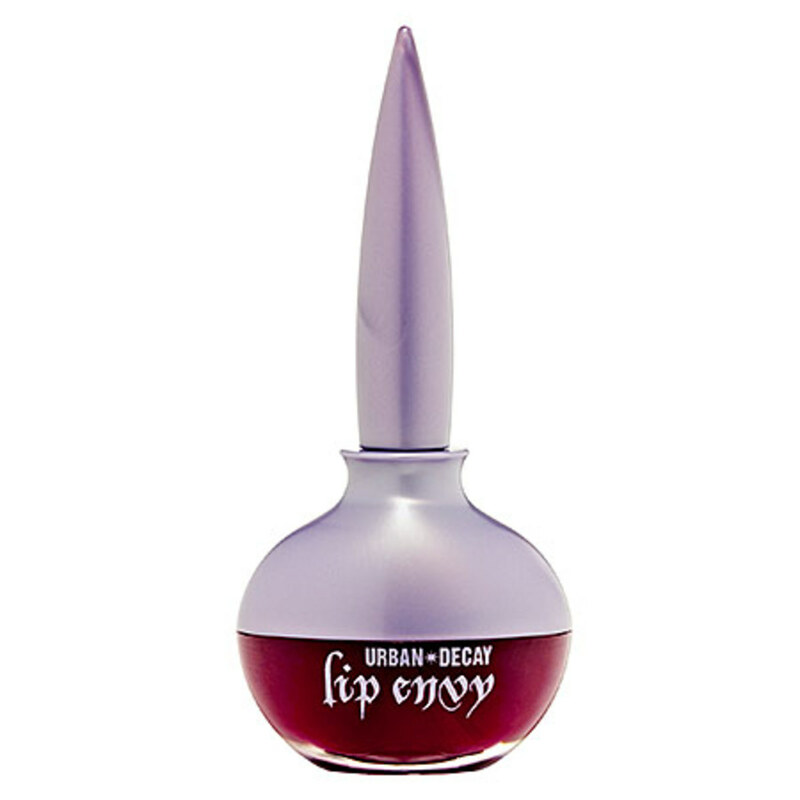 Urban Decay Lip Envy Lip Stain, $20.00; click here to learn more and purchase. 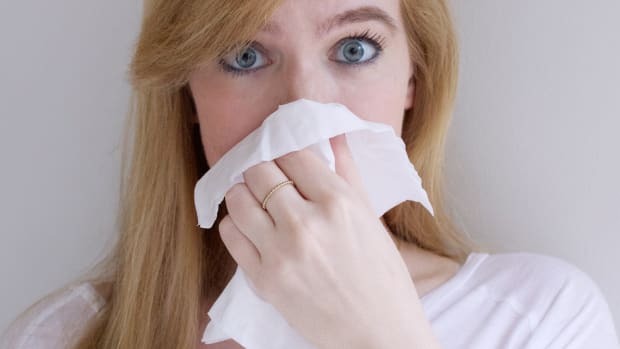 My only gripe is that the sponge brush is not ideal for drawing precise lines at the corners of my mouth, so I always make sure to have a Q-tip on hand to clean up any messes. Side note: I also always make sure to put on my Palmer’s Cocoa Butter Formula Original Ultra Moisturizing Lip Balm before I start doing my makeup so that when I get to the lip part of my routine, they’re sufficiently moisturized. Flaky lips are not cute! Now that I’ve put my face on, so to speak, it’s time to whip out my FAVOURITE beauty product. It has changed my makeup for the better and makes me look fabulous even in the most unglamourous situations. I’m talking about Urban Decay De-Slick Oil-Control Makeup Setting Spray. 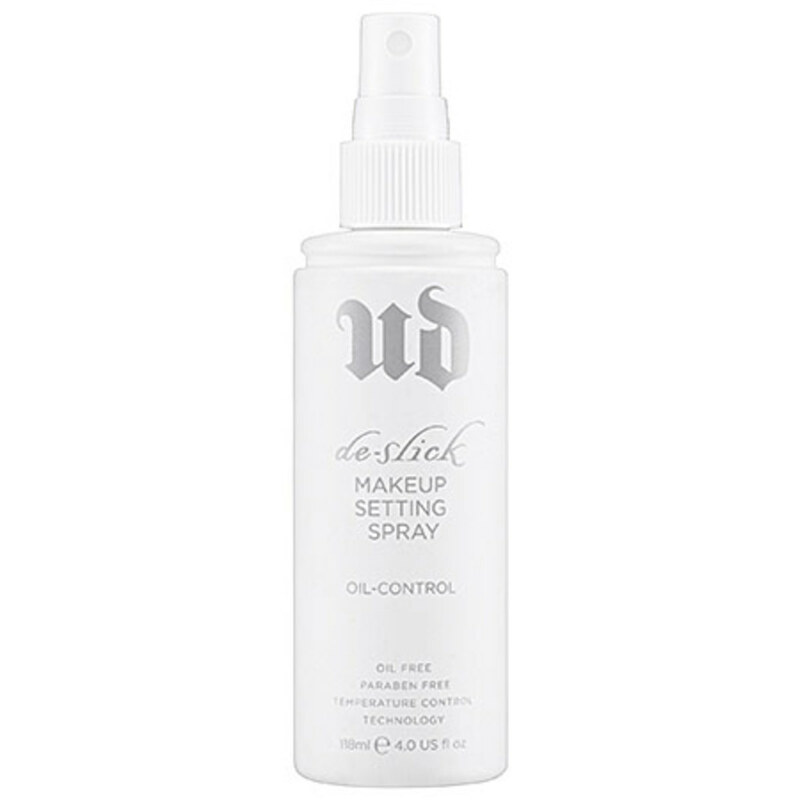 Urban Decay De-Slick Oil-Control Makeup Setting Spray, $35.00; click here to learn more and purchase. A few mists of this miracle product and you don’t need blotting or reapplication for at least five hours. Your makeup is set and looks fresh hour after hour. This is my every day look and I don’t tend to stray from it. I’ll go a bit heavier on the eye makeup if I’m going out but I feel that these eight steps enhance what I’ve got and make me feel confident. After all, makeup should make do that "you, only better thing" and bring out your natural beauty... right? What are the number-one must-haves in YOUR makeup routine? Got any recos for a great primer or mascara?